Immerse yourself in the unique history of America’s oldest university. If you’ve been following our Summit Highlights series, you’ll have read all about the 7 Habits of Highly Effective Teens leadership workshop that students participate in during the Leadership in Action Summits at Harvard. It’s time now to step out of the proverbial lecture hall and into the wider world of the Harvard campus and the cities of Cambridge and Boston. Join Jeremy, one of our experienced leaders, for a sneak peek at what our students can look forward to this summer! Nestled in the middle of Cambridge, Massachusetts — a city directly across the Charles River from Boston — Harvard University is America’s oldest institution of higher learning. 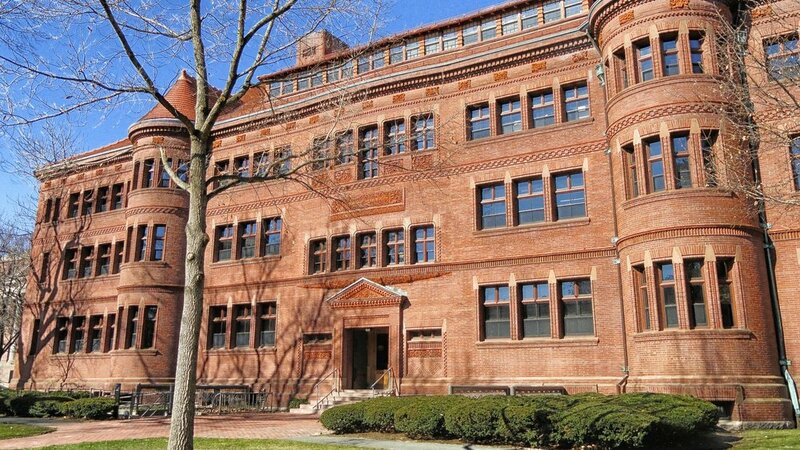 Founded in 1636, it was named after Reverend John Harvard who donated approximately half his estate and his entire library to the college. As you tour the campus during the Summit, you’re sure to be impressed by some of Harvard’s unique features. For example, a statue memorializing John Harvard sits on the grounds of Harvard Yard. When you visit, you’ll notice three curious inconsistencies attributed to the statue. It states that Rev. Harvard was the founder of the university (he was not) and that the university was founded in 1638 (it was 1636). What’s more, the man who sat for the statue’s casting was not John Harvard at all, rather a student from the university. Because of these errors, the statue is known as the Statue of Three Lies. Of course, you won’t be spending all your time on campus. The city of Boston will be yours to explore! As a part of the Summit and with the help of knowledgeable guides, you will traverse the town on a Boston city tour. The guides, life-long Bostonians, will show you the best the city has to offer. You will get to see the home of the great patriot Paul Revere, a residence where Revere and his family lived for about 30 years. Built more than 300 years ago, Paul Revere’s house still stands today! Be sure to grab a team photo at the house or the nearby statue of Revere. Both offer the opportunity to capture your adventures into America’s colonial past! You will also get to check out the Old North Church, known for its role in warning the colonists of the impending British attack in 1775. The famous phrase, “One if by land, two if by sea,” explains the lanterns in the church tower used to signal the American militia that the British were on their way into Boston. Another highlight of the Boston tour is the chance to see the USS Constitution. Now a floating national park, the ship was built in 1790 and named by President George Washington. The ship — also known as Old Ironsides — was most famously used in the War of 1812 where it defeated five British war ships. It sailed as recently as 2012 to commemorate the war’s bicentennial. From famous historic sites to the middle of the forest — Ambassador Leaders takes you all around! On your first full day at the Summit, you and your team will venture into the woods west of the city to complete an exciting day of ropes course challenges and team-building activities. A trained guide will take you and your team out on the ropes course to swing through the trees, problem-solve together, learn valuable leadership skills, and forge team bonds sure to take center stage in your lifelong Summit memories. Don’t worry — safety first! All of the activities you enjoy are challenging, but safe. The reward for completing your challenges? Some of New England’s best barbecue and brownies for lunch! Back on campus, you and your team will use your newly-minted leadership training to create a Lead2Feed community action plan. Founded by David Novak, CEO of Yum! Brands (you may have heard of his restaurants — Taco Bell, KFC, and Pizza Hut), Lead2Feed is a leadership program implemented in schools across the country. It empowers students to lead through service and solve community problems. The Summit will serve as a training ground for you and your group mates to practice the steps necessary to create a community action plan, steps you can duplicate back home as you implement an action plan of your own. As a team, you will identify a community need, then come up with a plan to address that need. Throughout the week, you will have time to research, create a vision, map out a plan, and present your project to the rest of the Summit-goers. This is just a sample of your week at Harvard! Check back for the next installment where we’ll take a look at the great hangout spots of Boston as well as your role in our global world.